Jamaica ended the six-day FINA World Short Course Swimming Championships in 10th place in China. This after Alia Atkinson won Two Golds and a Bronze. 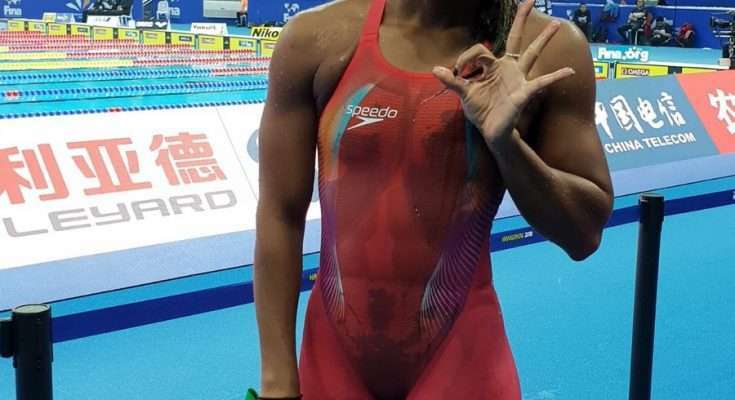 She ended the championships by successfully defending her 100-metres breaststroke for the third straight year with a time of 1:3.51 on Saturday. Alia’s coach, Chris Anderson, gave her full marks for the way she executed the race. Previous PostJamaicans Still Upbeat About Training at Home, says Lawrence Next PostLydia Heywood's Olympic Equestrian Dream May be Too Expensive!